“MMGI is a model of generative instruction. It hinges on the belief that complex behavioral repertoires emerge without explicit instruction when well-selected component repertoires are appropriately sequenced, carefully instructed, and well-rehearsed.” –Dr. Kent Johnson, Founder & Executive Director, The Morningside Model of Generative Instruction: What It Means to Leave No Child Behind (2004). 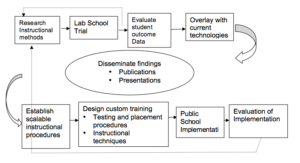 The Morningside Model of Generative Instruction is competency-based, with a set of procedures and expected outcomes for both learners and teachers. We take an applied science approach to teaching our competencies. We scour the psychology and education literature, looking for effective research-based instructional materials, methods and tools. We user-test what we find, seeking quantitative evidence of their effectiveness in increasing student achievement. We also develop and user-test our own materials and methods. As such, Morningside is a laboratory school for constantly evolving powerful teaching and learning methods, in the spirit of John Dewey’s schools in Chicago and New York at the beginning of the twentieth century. 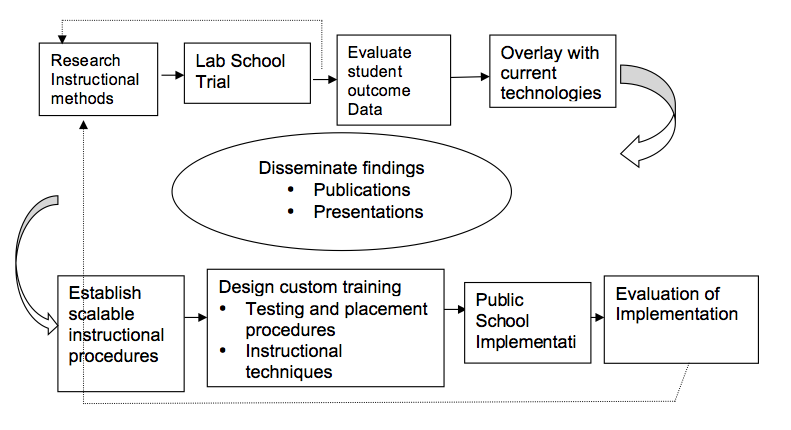 Morningside Model of Generative Instruction Technology Transfer described here. Morningside has more than 20 years of commitment to the ideals of educational accountability and empirically verified approaches to instruction, a model that places the responsibility for student success squarely on the shoulders of educators. Schools are not to act as mere sorting machines for determining degrees of natural, genetic, or pre-existing talent. Instead they must act so that all children are literate and can function as effective citizens in a democracy. Download and view an excerpt from Morningside Model of Generative Instruction by Dr. Kent Johnson and Elizabeth Street. MTA consultants modeled, provided coaching and feedback, assisted staff in analyzing data, and helped administration to make curriculum decisions. Teachers have reported benefiting from the professional relationships formed with MTA ….I am thrilled to be able to provide our staff with quality professional development in order to become successful in meeting the learning needs of our students.